The special counsel Robert Mueller’s office has asked the FBI to investigate what’s said to be a plot linked to the conservative activists Jack Burkman and Jacob Wohl to offer women large sums of money to lie about having been sexually harassed by Mueller. Wohl is accused of creating a bogus company called Surefire Intelligence to pose as a private investigative agency to frame Mueller. According to news reports, the domain name for Surefire Intelligence’s website is registered to Wohl, a phone number on the site directed to his mother’s number, and several LinkedIn profiles for supposed employees use edited photos of celebrities. The special counsel Robert Mueller’s office has asked the FBI to investigate what’s said to be a plot linked to the GOP activists Jack Burkman and Jacob Wohl to pay women large sums of money to lie about having been sexually harassed by Mueller. 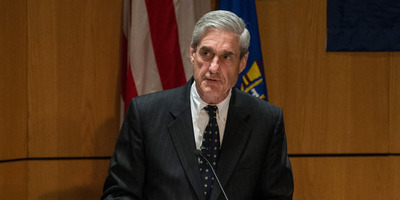 The special counsel’s office was also contacted by several reporters who were told by a woman identifying herself as Lorraine Parsons that a man working for an agency called Surefire Intelligence and Burkman offered her about $US20,000 “to make accusations of sexual misconduct and workplace harassment against Robert Mueller,” according to a copy of the email obtained by Business Insider. The Atlantic followed up on Stedman’s reporting on Tuesday, detailing another instance in which a man named Simon Frick, who said he worked for Surefire Intelligence, contacted Jennifer Taub, a Vermont Law School professor, and asked her how much money she would want in exchange for discussing her “past encounters” with Mueller. Taub told The Atlantic she had never met Mueller. Several journalists on Tuesday said Wohl was involved in Burkman’s and Surefire Intelligence’s scheme. When contacted by NBC News, Wohl said he didn’t have any role in the matter. But the outlet reported that Wohl’s email address was listed in domain records for Surefire Intelligence’s website and that calls to a number on the website went to a voicemail message referring to a number belonging to Wohl’s mother. On Tuesday evening, Stedman tweeted that he had visited the address listed on Surefire Intelligence’s website in Irvine, California. The New Yorker’s Jane Mayer found that a photo in a LinkedIn profile for a Surefire employee identified as Matthew Cohen appeared to be a heavily edited photo of Wohl. A LinkedIn profile for Frick identifies him as a “financial investigator” for the company but features a photo of the actor Christoph Waltz. Meanwhile, a profile for Surefire’s “Tel Aviv station chief”features a photo of the Israeli supermodel Bar Refaeli. The women contacted by Surefire Intelligence were reportedly wanted to sign sworn affidavits saying Mueller assaulted them at the St. Regis Hotel in New York on August 2, 2010. But The Washington Post reported that on that day, Mueller was summoned for jury duty in Washington, DC. Mueller, the FBI director at the time, travelled everywhere with an FBI detail.